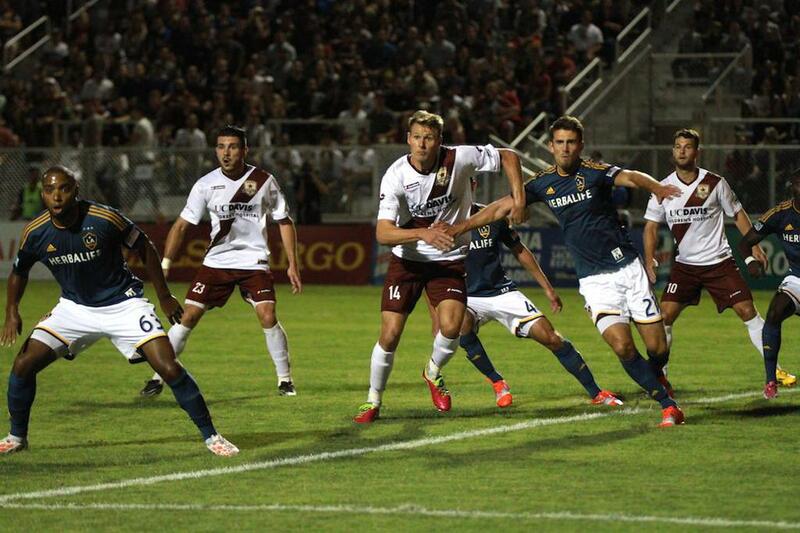 Republic FC came out strong in the first 15 minutes of the first half but it was LA Galaxy II who stuck first. Forward Charlie Rugg scored the first goal in the 26th minute when midfielder Dragan Stojkov found space near the touchline and sent a cross into the box which was headed home by Rugg and put LA Galaxy II up 1-0. Rugg doubled his total in the 44th minute when midfielder Bradford Jamieson IV sent a ball from the touchline to the near post. Rugg controlled the pass by juggling it to himself and beating the keeper near-post making the halftime score 2-0. The second half started slow for Republic FC but in the 68th minute, Republic FC found some momentum when they were awarded a penalty kick after a foul in the box was called. Rodrigo Lopez stepped up to the spot and slid the penalty kick past a fully outstretched LA keeper Brian Perk making the score 2-1. Republic FC pushed for an equalizer and were awarded a second penalty kick in the 85th minute after a handball was called in the box. Lopez again stepped up to the spot and chipped the ball into the wide open net tying the score 2-2. Lopez completed his hat trick in stoppage time when he stepped up to a free kick just outside the box. Lopez struck the ball with his right foot, bending it around the wall and into the back of the net past a diving Perk. 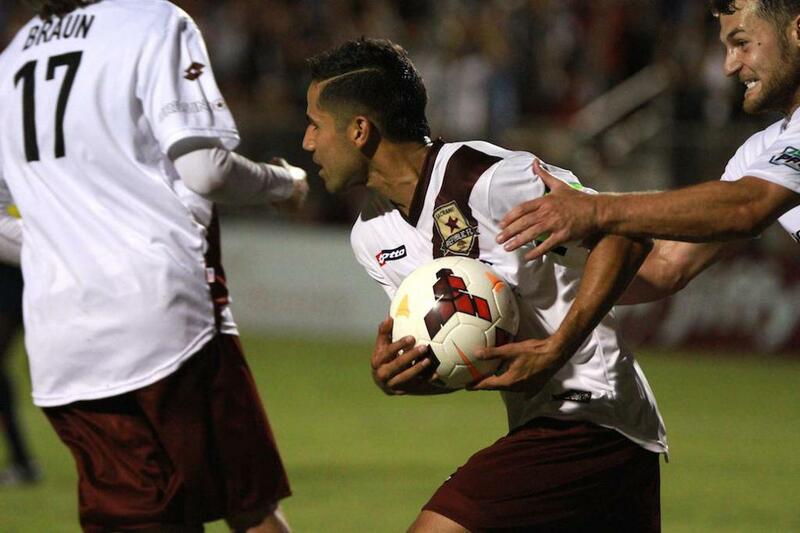 The goal made the score 3-2 and marked the first hat trick for a Republic FC player at Bonney Field. 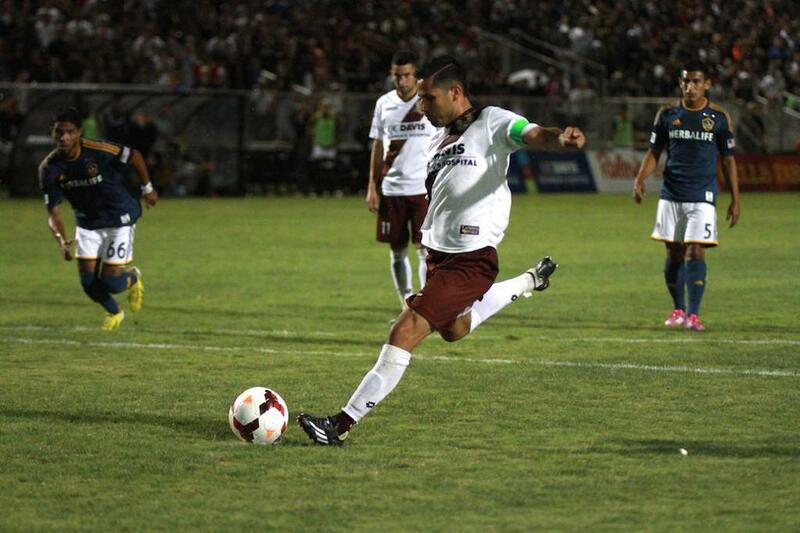 Republic FC will host the Harrisburg City Islanders on Saturday, September 27 in the USL PRO Championship Match. Kickoff is 7:30 p.m. Scoring Summary: LA – Charlie Rugg (Dragan Stojkov) 26, Charlie Rugg (Bradford Jamieson IV) 44, SRFC – Rodrigo Lopez (penalty) 68, SRFC – Rodrigo Lopez (penalty) 85, SRFC – Rodrigo Lopez (free kick) 90. Sacramento Republic FC – Jake Gleeson; Emrah Klimenta, Mickey Daly, Nemanja Vuković, James Kiffe; Octavio Guzman (Gilberto 45), Ivan Mirković, Max Alvarez, Rodrigo Lopez; Thomas Stewart, Adam Jahn (Justin Braun 45).